In the summer of 2015, Limburg Water Distribution Company (WML) detected a pollutant in the river Meuse, which was later identified as being pyrazole. The compound ended up in the Meuse via the side-branch Ur after having been industrially discharged. The concentrations rose significantly, while the health risks were not clear. The water companies WML, Evides and Dunea were obligated to temporarily suspend their intake of Meuse water to safeguard drinking water quality. 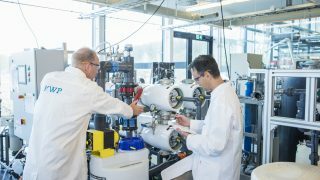 KWR thoroughly analysed the Meuse water and began carrying out research into the removal of pyrazole during the drinking water treatment process. For the first time in its history, WML, for the sake of safety, switched to an alternative drinking water source, namely, deep groundwater. The intake of the Meuse water into the Evides reservoirs was suspended for over three weeks. This was the first time since the reservoir system was brought into operation in 1973 that such an extended intake stoppage had occurred due to a point-source discharge. Dunea also switched over from the Damned-Up Meuse to the river Lek as its drinking water source. Thanks to these extra measures and the regular ones (monitoring and treatment), the quality of the drinking water, including during the pyrazole discharge, was never at stake. Fortunately, large-scale incidents of chemical pollution of drinking water and its sources are very rare. The pyrazole case involved a complex combination of circumstances: a faltering wastewater treatment plant, confusion about whether the pyrazole discharge would be permitted, long-term low water discharge in the Meuse, a compound that was difficult to detect in relation to polarity and ionisation, and a lack of toxicological information. In light of the wide range of compounds that are used and can end up in the watercycle, it is not inconceivable that a similar situation could occur in the future. We know that only a small proportion of compounds are subject to structural measurement and that an even smaller proportion are standardised. Highly polar compounds, in particular, can remain under the radar despite regular screening methods, while a shift towards these compounds is actually predicted, as a result of stricter regulation of nonpolar compounds and the creation of mostly polar transformation products in treatment processes. Moreover, small, polar compounds are generally difficult to remove during drinking water treatment. 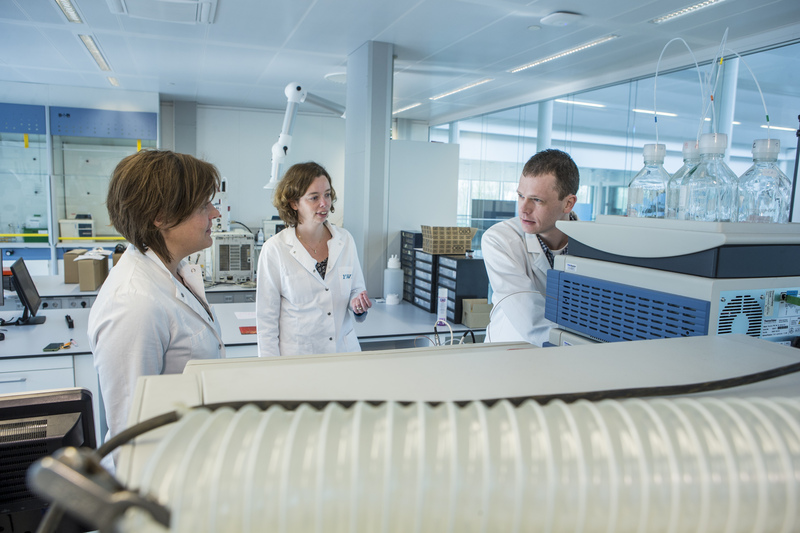 As a result of the pyrazole case, the water companies commissioned KWR to research the removal of pyrazole in different treatment processes. 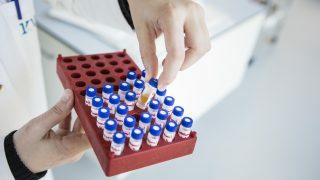 We are studying the degree to which contaminants in the watercycle have been identified and which innovative analytical techniques – such as HILIC chromatography, for the separation of highly polar compounds, and bioassays, for effect-based compound detection – can be implemented. We are also developing a roadmap to accelerate the identification of unknown compounds, and to enable the detection of a wider scale of (unknown) compounds. Together with RIVM and Deltares, we are researching the impact of industrial wastewater treatment on surface water quality, about which little is known as yet.